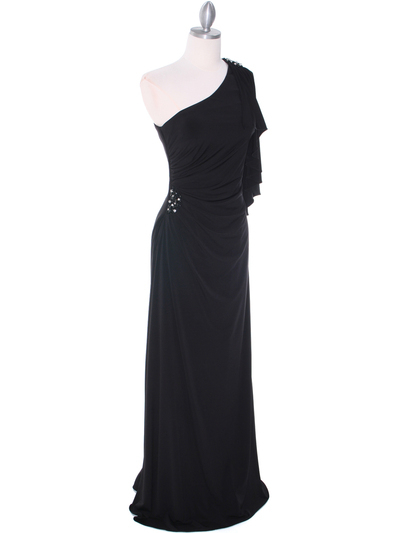 This charming faux wrap dress features a flowing one shoulder sleeve with sparkling jewels and rhinestones along the shoulder blade. 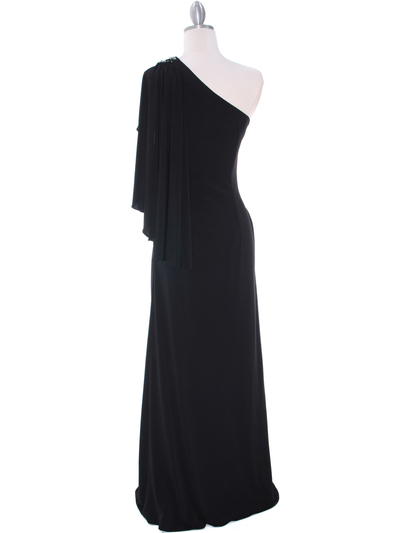 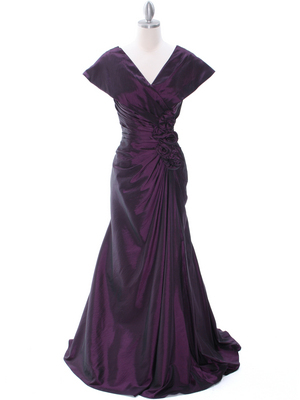 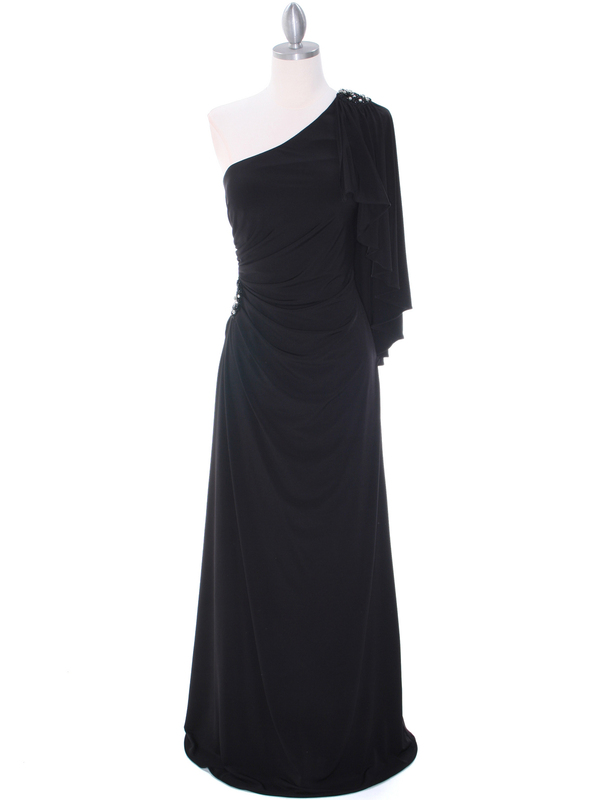 With rhinestones and jewels adorning the ruched pick up waist as well, this dress is dazzling. - 95% polyester and 5% spandex.